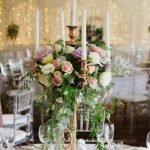 Though they definitely are increasing in popularity, weekday weddings are still not very common, usually because people try not to stray too far from tradition when celebrating such an important time of their lives. However, there are many advantages to having your event during the week, and our team at Waterside Events have gathered some tips for you to make the most of a weekday wedding. Weekday weddings are great if you are working within a tight budget. Vendors are usually happy to get bookings during the week, as they are less busy and can better allocate resources. It’s also cheaper for them to hire staff and organise logistics, which might end up in a lot of savings for you. Some people manage to save thousands of dollars just from moving their date from the popular and competitive Saturday to a Wednesday or Thursday. If you want to get married on a date that is special to you, maybe your anniversary or the date you met your partner, and the date happens to be on a weekday, don’t let that put you off. Especially if you are after a small and intimate celebration, a weekday wedding is perfect for you. Attendance rates for weekday weddings are usually 50 to 70 per cent, so even if you invite over 100 guests, only those actually close to you will make the effort to attend. But do make sure you allow your guests plenty of time to save the date and make arrangements, so your loved ones don’t end up missing out on such a special event because they couldn’t get time off work. Availability: you get your pick! Unlike weekend weddings, because not many people are booking their events for the same day as yours, you will probably be able to get your pick and not have to settle for second or even third best. Think of your dream venue, menu, décor, and entertainment, and see how you can actually achieve all of that with a weekday wedding. If you are ready to start planning your weekday wedding or if you have any questions, our team at Waterside Events are always happy to help, contact us here.